blog.atwork.at | Interested in the JFK files? Explore them with Microsoft AI! Microsoft's Artificial Intelligence (AI) allows to analyze large amount of data, even interpreting and indexing handwritten documents and learning key topics. In the Microsoft AI.Lab, engineers combined Azure Search and Cognitive Services to analyze more than 34,000 pages and scanned evidence photos related to the assassination of US president John F. Kennedy in 1963 that went public. Read more about burning questions and see the results online. Many secret JFK files have been released in 2017, but there were too much information and too much unstructured data to go through. So, modern technology helps to analyze the data and to deliver relevant details. 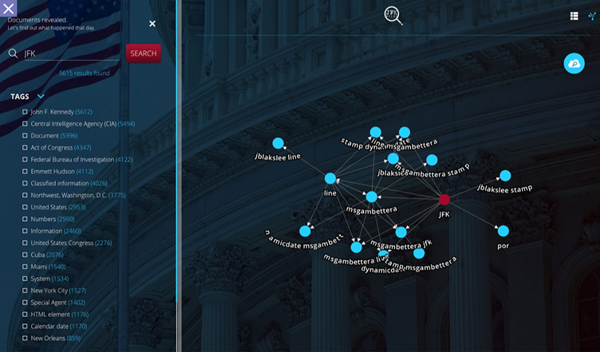 The Microsoft AI.Lab project is using Cognitive Search that is powered by Azure Search with built in Cognitive Services: "It pulls data from almost any data source and applies a set of composable cognitive skills which extract knowledge". This approach allows to get answers and relationships in context with the original documents. 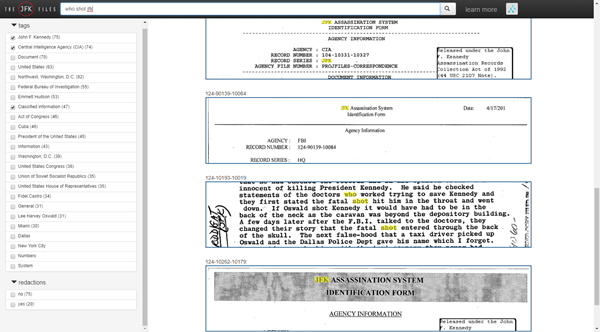 The project is publicly available at www.ailab.microsoft.com/experiments/jfk-files as shown in the following picture. The result can be checked out at the playground available at jfkfiles2.azurewebsites.net. On the fast I have not found the one answer yet, but the project itself is amazing. Check it out! Currently, about 88% of all JFK documents are already released to the public since the 1990´s. Gradually, more documents are published by the National Archives, see www.archives.gov/research/jfk/release. See more about the project at sociable.co - AI, Machine Learning open new possibilities into JFK assassination research. Find out more about Microsoft Artificial Intelligence at Hands on with AI, AI Services Learning-Paths and Microsoft Research AI - Redmond!